Oops, did you just forget your keys in the car? We know that it’s frustrating when this happens. It can really slow you down and disrupt your schedule and plans for the day. But don’t worry. It’s okay, just call the vehicle lockout or car lockout service provider that you can trust. 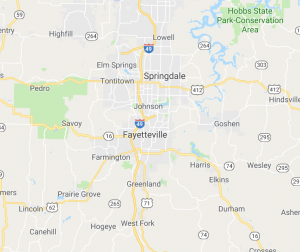 That service provider is Premier Fayetteville Towing. We’ll be there in no time to get your car unlocked. Since accidents happen at all hours of the day and days of the week, we’re available 24 hours a day, 7 days a week. You can rely on us to help you out (or in) whenever you need the help. It doesn’t matter to us if the emergency takes place during normal working hours or late on a weekend. Just click on the phone number 479-202-6593 and it will dial us automatically. As long as you have our number, you won’t be locked out of your car for long. You can expect us to get to your location in approximately 30 minutes. Since accidents sometimes do happens, it helps to know that if you ever do need to get your car unlocked you already have someone in your corner – Fayetteville Towing Service. You can rely on us at all times to be there when you need us. For vehicle lockout or car lockout service call Sarasota Towing Service company. Call now for fast, reliable and affordable towing service!